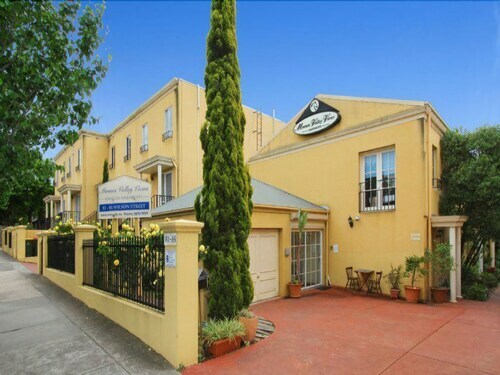 Situated in the suburbs, this apartment building is 0.1 mi (0.1 km) from Moonee Valley Racecourse and within 3 mi (5 km) of Flemington Racecourse and Melbourne Zoo. 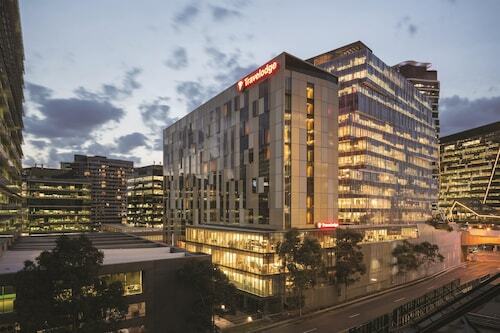 Royal Children's Hospital and Highpoint Shopping Centre are also within 3 mi (5 km). Moonee Ponds Station is 11 minutes by foot and Ascot Vale Station is 19 minutes. Situated in Northern Suburbs, this golf apartment building is 0.3 mi (0.5 km) from Moonee Valley Racecourse and within 3 mi (5 km) of Flemington Racecourse and Melbourne Zoo. Royal Children's Hospital is 3 mi (4.8 km) away. Moonee Ponds Station is 19 minutes by foot and Ascot Vale Station is 27 minutes. Going to Victoria and the capital, Melbourne? Save time to get to know the neighbourhood of Moonee Ponds, positioned 6 kilometres northwest of the city's downtown. Melbourne features heaps of recognisable places to visit, like the Crown Casino and Entertainment Complex, Federation Square and St. Kilda Beach. If you're keen to find a nice green space to relax and breathe in the fresh air, head on over to Queens Park. 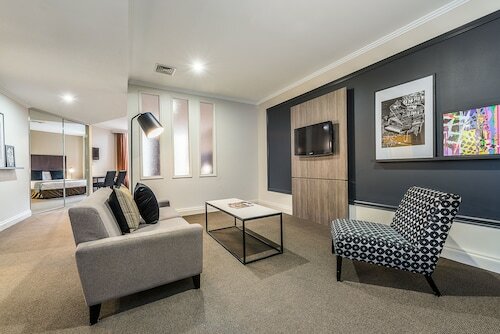 The Quest Flemington and Summer Inn Holiday Apartments are perfect if you're looking to stay close by. Want to check out the cafe culture in in Moonee Ponds? Whether you're catching up with friends or just relaxing back on a comfy chair with a hot drink, you can't go past Curators Collective. Sightseeing certainly takes its toll. Luckily, Alexander Motor Inn & Apartments plates up nourishing meals that'll be sure to satisfy even the most ravenous of travellers. And of course, you haven't fully experienced Moonee Ponds until you've had a drink or two with the locals at the neighbourhood bar. Here, Mango Lounge Bar is where you want to be. 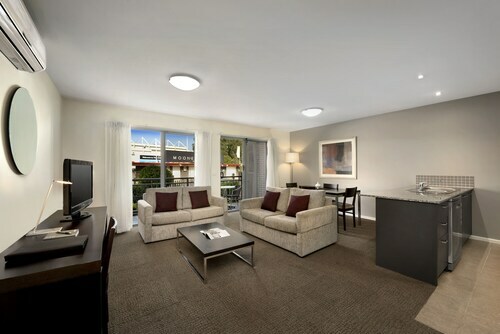 Having trouble finding the best Moonee Ponds hotel room? It is worth checking out the alternatives in the Essendon hotels guide and the Wotif Travancore hotels guide. Whether you are just searching for accommodation, or the entire enchilada including flights, car rental and activities, Wotif can pull it all together for you! How Much is a Hotel Room in Moonee Ponds? 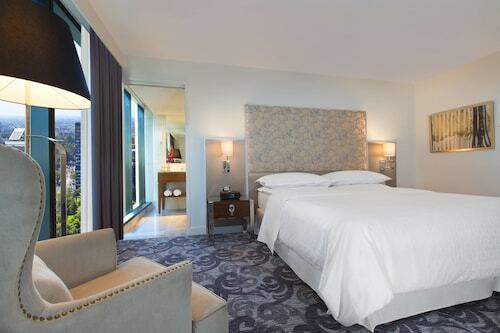 Hotels in Moonee Ponds start at AU$89 per night. Prices and availability subject to change. Additional terms may apply.